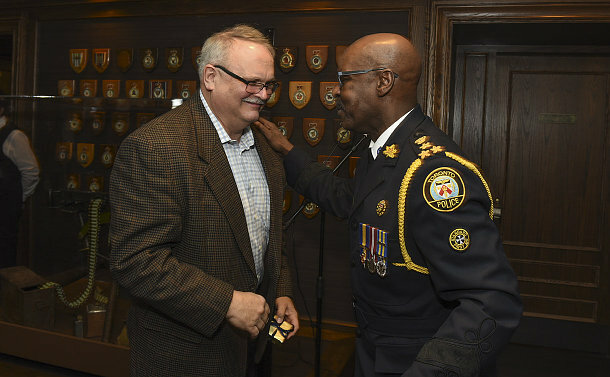 Acting Superintendent Stu Eley joined the Toronto Police Service during a great period of change and leaves as it embarks on another. In March 1975, Eley arrived at the Service during a time when 2,500 officers were hired in a three-year span in the mid-to-late 1970s, after an arbitrator ruled there should be two officers in a car at night. “There was that big bubble of people that came on and they have all worked their way through to the other end – there are not many of us left,” said Eley. The Service is now implementing recommendations of Action Plan: The Way Forward to modernize policing in the city once again. “The underlying story is this Service has been transforming and adapting since I joined and it will continue to transform, change and adapt to the particular conditions of any time well after I leave,” Eley said. The veteran officer is retiring on February 28 after 43 years on the job. Eley has spent the last 17 years at police headquarters working in the Chief’s Office and serving, for the last year, as the Acting Superintendent in charge of prosecutions in Professional Standards. He noted his time on the seventh floor as the most fulfilling in his career. “The challenges, the successes and, yes, a couple of failures to learn from, is what made it fulfilling,” he said. Chief Mark Saunders said Eley was crucial to him being successful stepping into the role of top cop. The job of Executive Officer for the Chief is about building relationships throughout the Service and the community, a role that Eley was no stranger to before his career in the Chief’s Office. Former Chief Bill Blair met Eley as he did community outreach with members of ethnic communities in what was then the Community Policing Support Unit. 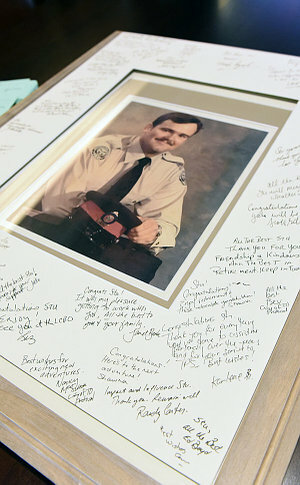 As Chief, Blair experienced Eley’s ability to be an ambassador for the Service, once again, when he assigned his Executive Officer to help police services who lost officers in the line of duty prepare arrangements for memorial services. For his part, Eley came to policing as a means to help people. Watching Hawaii Five-O and and Ironside, a crime drama series that aired from 1967 to 1975, piqued Eley’s curiosity about policing. “I also wanted to serve people and policing seemed to be one of the best ways of doing that,” he said. The top student in his TPS graduating class, he spent seven years with Traffic Services before being assigned to the 22 Division detective office, then spent six months in training alongside Homicide investigators – two of whom would go on to serve as Chief. 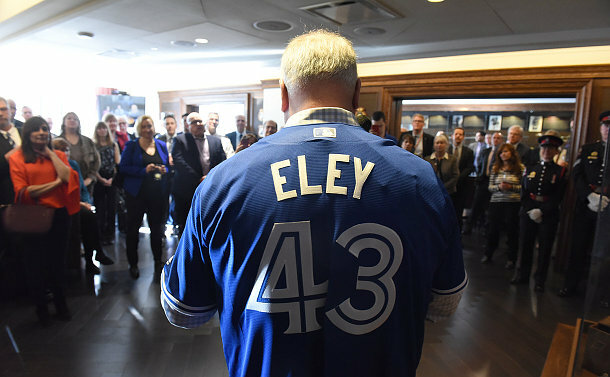 “It was in Homicide that I got to meet Chiefs Bill Boothby and Julian Fantino for the first time in 1982,” Eley said. He also served as a planner at Two District Headquarters and with the Fraud Squad before securing his first promotion to Sergeant in 1988. 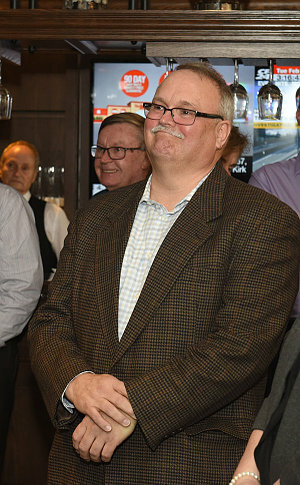 Leaving the Fraud Squad in 1992 as the detective in charge of the unit, Eley was assigned to 23 Division, where he worked in plainclothes and uniform before coming to headquarters in 1997. After three years with the Divisional Policing Support Unit, he joined the Chief’s Office in 2001. Eley plans to take the spring and summer off to relax before planning his next move. He plans to do some travelling and pursue his passion for photography.